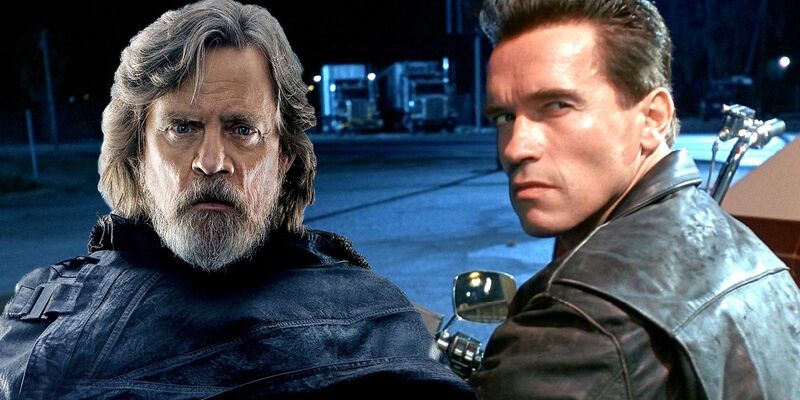 Star Wars’ Mark Hamill reveals some absolutely terrible advice he once gave to Arnold Schwarzenegger, prior to the latter becoming a massive star. Hollywood careers are generally fleeting, especially in front of the camera. It may seem like there are an abundance of well-known actors at any given time, but for every person that breaks out, hundreds – if not thousands – more end up calling it a career with only a handful of minor credits to their name. Two men who definitely managed to avoid that sad fate are Hamill and Schwarzenegger, who’ve been big stars for multiple decades at this point. Hamill will of course always be best known for playing lead hero Luke Skywalker in George Lucas’ original Star Wars trilogy, as well as returning to the role for Disney’s current trilogy. That achievement alone would be enough for most to hang a career on, but Hamill also became a huge commodity in the world of voice acting, spending the last few decades as the go-to voice for iconic DC supervillain The Joker. Schwarzenegger isn’t quite the superstar he once was, but in the 80s and 90s, he was truly one of the most bankable stars on Earth, and retains a large fanbase. However, it turns out that if Schwarzenegger had taken Hamill’s advice early on in his acting career, he may have just ended up another failed Hollywood wannabe. As revealed in a tweet by Hamill, he was asked for advice by the future Terminator star early on in the latter’s career, and the suggestions he gave would – in hindsight – have probably ended the Austrian’s path of stardom before it could even begin, almost as if it were an unborn John Connor and Hamill was himself a Terminator. Check out Hamill’s tweet below. In reality, Schwarzenegger of course made no efforts to hide his natural accent, or change his last name to something more easily pronounced. Contrary to Hamill’s advice, Schwarzenegger was able to not only survive in spite of these choices, but thrive. Instead of hindering his progress, Schwarzenegger’s unique voice and name seemed to actually help audiences remember him, and – coupled with his larger-than-life physique and personality – served to create a public persona that the masses quickly became aware of. There’s a reason nearly everyone has tried to do an Arnold Schwarzenegger impression at some point. The man is a pop culture legend. Bad advice or not though, things clearly worked out fine for both men in the end. Hamill is a beloved icon of sci-fi and fantasy thanks to Star Wars, and Schwarzenegger is an extremely rich man that counts some of the most popular action films of all-time on his resume, even if his political career and personal life didn’t exactly turn out as planned. Schwarzenegger will head back to Terminator territory in director Tim Miller’s reboot next year, which also sees the return of Linda Hamilton to the role of Sarah Connor.